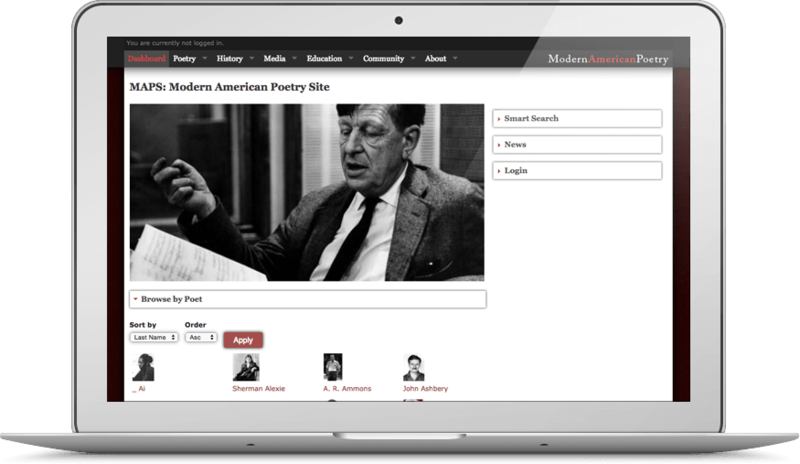 The Modern American Poetry Site is a comprehensive learning environment and scholarly forum for the study of modern and contemporary American poetry. MAPS welcomes submissions of original essays and teaching materials related to MAPS poets and the Anthology of Modern American Poetry. We are also happy to take questions and suggestions for future materials. The anthology contains poems by hundreds of different modern and contemporary poets, including several poets—among them women, minorities, and progressives—who previously had not been published in anthology form. Cary Nelson and the original advisory board of notable scholars realized that readers would benefit from having more information readily available and accessible to them than what a book could hold.